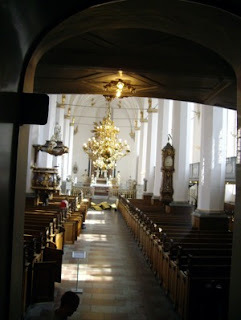 The Trinitatis Church is connected to the tower and was finished in 1656. You can get access to the church in Rundetårn. Sadly this beautiful baroque church was closed when I visited the tower.